**** Menco Corporation - Menco 700N Danish oil is a modified urethane finish resistant to alcohol, hot liquids, common household chemicals and stains. Produces a soft satin finish. Time to recoat - 30 to 60 minutes. Volatiles = 52%. Contains mineral spirits. Tested colours, Russet, Tobacco, Clear, Barn Red. *** Menco Corp. - Para-Thane, Satin is a modified urethane finish which is non-yellowing and non-toxic when cured. Contains petroleum distillates (aliphatic hydrocarbons). Produces a warm satin-lustre finish. Volatiles = 60%. VOC = 485 g/l. Time to recoat - six hours. The manufacturer recommends thinning the first coat 50% with mineral spirits. **** Minwax - Minwax Wipe on Poly, Clear Satin is a satin-lustre wipe-on. 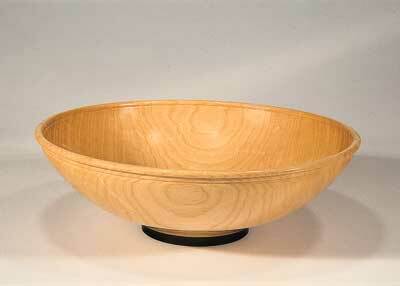 Its alkyd polyurethane finish is resistant to water, common household chemicals and food stains. Time to recoat - three to four hours. Contains petroleum distillates. Volatiles = 70% by weight. VOC = 550 g/l. Liquid colour, clear pale amber. ***** Minwax Company Inc. - Minwax Antique Oil Finish, Natural is a linseed alkyd resin-based wiping finish that dries very fast and produces a rich satin lustre. Time to recoat - 24 hours. Volatiles = 65% by weight. Contains Stoddard Solvent (mineral spirits). VOC = 550 g/l. Liquid colour, clear, medium amber. 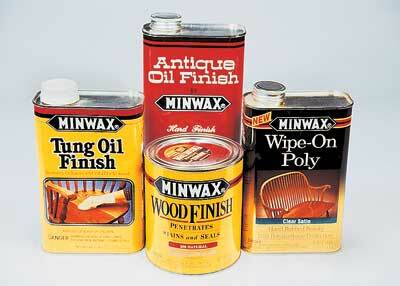 *** Minwax Company Inc. - Minwax Tung Oil Finish is a tung-oil based wiping finish, with other oils and resins. It produces a warm satin-gloss finish. Contains Stoddard Solvent (mineral spirits). Time to recoat - 24 hours. Volatiles = 65% by weight. VOC = 550 g/l. Liquid colour, clear, medium amber. **** Minwax Company Inc. - Minwax Wood Finish No 209, Natural is a very thin penetrating oil finish with alkyd resins, which produces a sensual satin-gloss lustre. This finish can be sprayed with excellent results. Contains naphtha, mineral spirits and other solvents. Volatiles = 92%. Time to recoat - four to six hours. Liquid colour, clear light amber. ** Minwax Company Inc. - Polyshades, Satin finish is a fast-drying polyurethane and stain in one that produces a satin-lustre finish. Time to recoat - eight hours. Contains mineral spirits. Volatiles = 57%. VOC = 450 g/l. 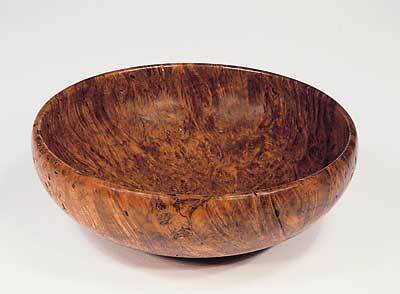 Tested colour, antique walnut. *** Minwax - Fast-Drying Polyurethane, Clear Gloss produces a high-gloss lustre. Contains mineral spirits. Volatiles = 66%. Time to recoat - three hours. VOC = 450 g/l. Liquid colour, clear amber. 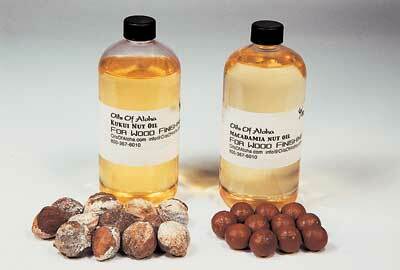 ***** Oils of Aloha - Kukui Nut Oil Woodfinish is pure kukui nut oil from the Hawaiian Candlenut tree (Aleurites moluccana). Kukui oil produces a subtle, sensual matt lustre. It can be built to higher gloss lustre with multiple coats. Contains no thinners or driers. Time to recoat - 24 hours. VOC= 0 g/l. Liquid colour, clear pale yellow. 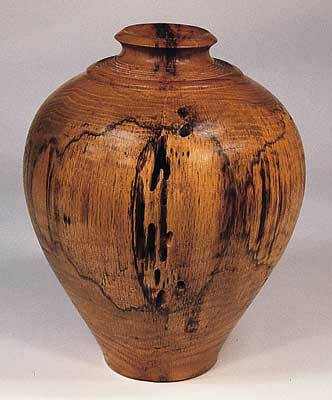 This oil was used by ancient Hawaiians to finish many of their magnificent Calabash bowls. **** Oils of Aloha - Macadamia Nut Oil Woodfinish is a pure Macadamia nut oil from the Macadamia nut tree (Macadamia ternifolia) that produces a soft, matt lustre. It can be built to a higher lustre with multiple coats. Contains no thinners or driers. Time to recoat - 24 hours. VOC= 0 g/l. Liquid colour, clear pale yellow. **** Organoil PTY Ltd. - Organoil, Hard Burnishing Oil is a unique blend of tung oil, natural plant and wood oils and highly-refined white beeswax. It is non-toxic and produces a matt-sheen lustre. This finish is best applied as a friction finish, or wet-on-wet burnishing, while the workpiece is spinning. Liquid colour, clear very light amber. ***** Organoil PTY Ltd. - Organoil Interior Clear Finishing Oil is a unique blend of highly-refined natural plant oils, including tung oil. It produces a rich, matt-sheen lustre and can be used as a friction finish, or applied manually in the traditional manner. Liquid colour, clear, very light amber. *** PPG Architectural Finishes Inc. - Olympic Antique Oil Finish is a blend of alkyd resin and soybean oil that produces a soft, satin lustre. Contains naphtha, m-xylene and methyl ethyl ketoxime. Time to recoat - four hours. Liquid colour, clear amber. *** Swing Paints Ltd. - Terra Nova Natur Oil is a blend of non-toxic pure oils (mineral oil) that contains no dyes, perfumes or other additives. Safe for direct food contact. Liquid colour, clear. ***** The Robson Family - Tried & True Danish Oil Finish is a superb partially-polymerised pure linseed oil finish which produces a rich, warm, provocative, satin-gloss lustre. It is non-toxic and contains no petroleum distillates or heavy metal dryers. This finish is more viscous than traditional Danish oils and should be applied in very thin layers. Thinning is not recommended. Time to cure - eight to 10 hours. VOC = 0 g/l. Liquid colour, clear light amber. ***** The Robson Family - Tried & True Varnish Oil is a magnificent highly-polymerised, pure linseed oil finish, formulated for maximum build and lustre. Non-toxic, it contains no petroleum distillates or heavy metal dryers. It is extremely viscous and must be applied in very thin layers, which will produce a warm, provocative, gloss lustre. This finish produces one of the most sensual surfaces you will ever have the pleasure of touching. If thinning is desired, Robson's Danish oil is recommended. Any other solvent will adversely compromise the curing process. Time to recoat - 24 hours. VOC = 0 g/l. Liquid colour, clear light amber. ***** Thompson and Formby Inc. (Minwax) - Formby's Tung Oil Finish, High Gloss, Low Gloss is a superb tung-oil-based alkyd varnish blend, with other oils. Contains petroleum distillates (mineral spirits). Time to recoat - eight to 10 hours. Volatiles = 76%. VOC = 550 g/l. Liquid colour, clear light amber. ***** Waterlox - Antique Gloss Finish is a high-build, tung oil, gloss-lustre finish, resistant to alcohol, fruit juices, milk, water and food acids. Contains Stoddard Solvent, naphtha and other solvents, synthetic copal and rosin-based resins. Time to recoat - eight hours. Volatiles = 59.4%. Liquid colour, clear amber. ***** Waterlox - Original Marine Finish, High Gloss is a superb blend of tung oil, dehydrated castor oil and phenolic resins that produces a high-gloss lustre. It is water and sun resistant and will not darken over time. Contains Stoddard Solvent, mineral spirits and xylene. Time to recoat - six to eight hours. Volatiles = 56.4%. VOC = 450 g/l. Liquid colour, clear amber. *** Waterlox - Original Satin Finish This tung-oil based finish resists alcohol, hot liquids, stains and common household chemicals and produces a warm satin lustre. Time to recoat - overnight. Volatiles = 76.1% Contains Stoddard Solvent (mineral spirits). Liquid colour, clear amber. ***** Waterlox - Original Sealer/Finish, Medium Sheen is a superb tung-oil based semi-gloss lustre finish with ester gum, phenolic resins and linseed oil. It produces a finish that is resistant to alcohol, hot liquids, stains and common household chemicals. Contains Stoddard Solvent (mineral spirits). Time to recoat - 12 hours. Volatiles = 77.8%. VOC = 614 g/l. Non-toxic when fully cured. Liquid colour, clear amber. **** Western Wood Doctor - Tung Oil Natural Oil Finisher This very thin, deep penetrating tung oil finish produces a rich, warm satin-gloss lustre. It can be sprayed on with excellent results. Time to recoat - 12 hours. Contains petroleum distillates. Liquid colour, clear light amber. 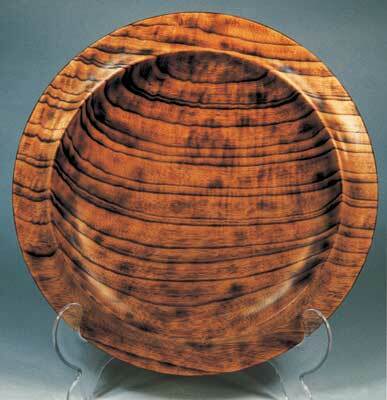 Modern oil finishes protect and enhance the natural beauty of wood. From soft elegant matt finishes that are barely there, to lustrous high gloss finishes which look as though you could step into them, there's an oil finish to suit every taste. The ultimate decision on which finish to use should be governed by the type of timber, its intended use, the gloss level desired and personal preferences. Experiment with different oil finishes. Subtle visual and tactile differences are difficult to describe and harder to photograph, but they do exist between different oil finishes. 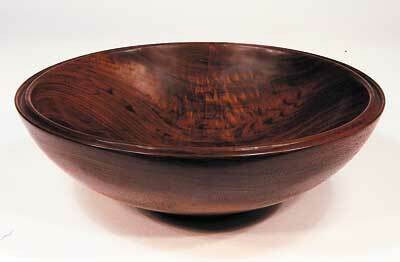 "Modern oil finishes protect and enhance the natural beauty of wood"
Rags and kitchen papers soaked with drying oils (treated with siccatives) present a significant danger of exothermic autoxidation, which could lead to spontaneous combustion. So, when working with boiled oils (or other oil finishes that contain driers or siccatives), pay careful attention to the safe disposal of any oil-soaked rags. The rags should never be folded, crumpled or otherwise compressed, until the oil has fully dried. Proper disposal according to manufacturer's recommendations, i.e. immersion in a bucket of water, or in fireproof containers, should be used whenever possible. 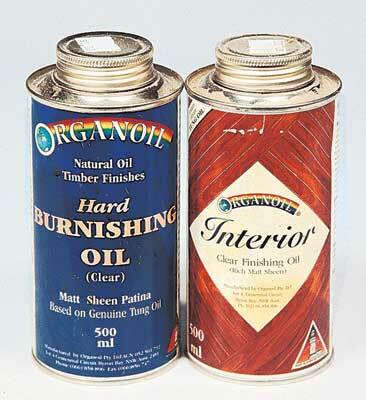 Most oil finishes contain various solvents, driers and other potentially-harmful substances. 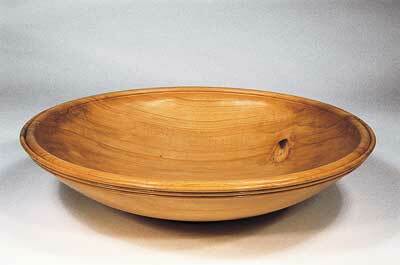 Before applying any finish, read and follow the manufacturer’s safety recommendations. Safety measures should include protection for your eyes, lungs and skin. Always wear goggles or safety glasses, as accidental splashes can, and do, occur. If you cannot ensure ventilation of the finishing workspace with constant fresh air, wear a NIOSH- approved respirator with an organic vapour cartridge when applying, mixing or working with finishes. Wear gloves made to withstand the solvents contained in the finish you are going to use. If you are unsure of the specific type of glove material to wear, consult the manufacturer. It’s prudent to take proper precautions when working with potentially harmful products. If you are unsure what your chosen finish contains, obtain an MSDS (Material Safety Data Sheet) if in the USA, or a COSHH in the UK from the manufacturer. These will list any hazardous ingredients in the finish, as well as potential health hazards associated with the product.